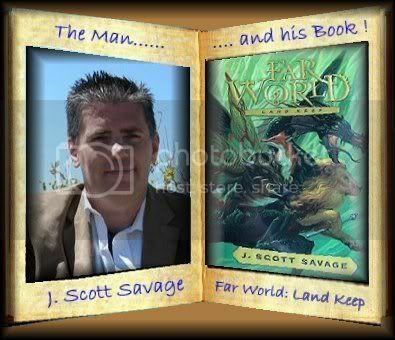 Farworld: Land Keep by J Scott Savage. Four mythical Elementals Water, Land, Air, and Fire have the power to save two worlds, Earth and Farworld, from a common enemy: the Dark Circle. In book one, Water Keep, a portal has been opened between the two worlds, allowing Marcus, from Earth, and Kyja, from Farworld, to combine their unique gifts and begin their epic quest to find the Elementals. In book two, Land Keep, Marcus and Kyja travel with Cascade, a Water Elemental, toward Land Keep, the home of the powerful and wise Land Elementals. However, their journey may end before it even begins. Land Keep is empty, deserted for at least a thousand years, and the rumor is that the creatures who once controlled all land magic are extinct. Marcus and Kyja's only hope seems to lie in finding the Augur Well, a legendary Oracle protected by subtle traps and mind-bending trials. To succeed in their quest, Marcus and Kyja must also avoid the Keepers of the Balance, an order dedicated to redistributing magic to the rich and powerful. And they must travel far underground, where Cascade is unable to follow and where they will be unable to leap to the safety of Earth. As the Dark Circle closes around them, Marcus and Kyja are faced with the temptation of what they desire most. Sacrifices must be made, and not everyone will survive unscathed. Thanks to my "son" Chris I finally got to read book 2 of Far World. I think the adventure for this one was better than book one. Mr Savage came up with some very unique characters and it makes me look forward to even more in book 3 and 4. From the last book Marcus and Kyja are aided by the water elemental, Cascade, who although agreed to help them is not all that happy about trying to find the land elemental. There was a character in the learning tree of the Land Elementals which stood out to me and was quite enjoyable, though only in the book briefly. His actions were a little scatter brained but you knew there was a lot more to him than that. Even with Marcus' disabilities being in Far world makes him (in some ways)stronger and in other ways, every so often, he needs to go back to Earth to recuperate . With each trip back to Earth Kyja learns more and more about the place she really belongs. Land Keep is an enjoyable read and is very suitable for the young adults it is written for. They are books I will pass on to my grandson who I know will enjoy all the trials and tribulations of Marcus and Kyja. 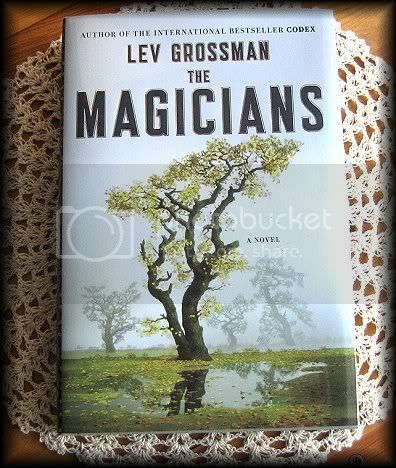 Harry Potter discovers Narnia is real in this derivative fantasy thriller from Time book critic Grossman (Codex). Quentin Coldwater, a Brooklyn high school student devoted to a children's series set in the Narnia-like world of Fillory, is leading an aimless existence until he's tapped to enter a mysterious portal that leads to Brakebills College, an exclusive academy where he's taught magic. Coldwater, whose special gifts enable him to skip grades, finds his family's world mundane and domestic when he returns home for vacation. He loses his innocence after a prank unintentionally allows a powerful evil force known only as the Beast to enter the college and wreak havoc. Eventually, Coldwater's powers are put to the test when he learns that Fillory is a real place and how he can journey there. Genre fans will easily pick up the many nods to J.K. Rowling and C.S. Lewis, not to mention J.R.R. Tolkien in the climactic battle between the bad guy and a magician. It's rare that I don't find that review from Amazon isn't spot on but in this case there is one word I find way off base... they say the book is a "fantasy thriller".. well it is a fantasy, but if anything comes close to "thriller" it's near the end of the book, and to be honest the last 100 pages was the (quote) adventure (unquote) of the whole 416 pages. I did finish the book without giving up! I kept thinking it was going to get better and be a surprisingly good book. Then I found myself skimming in many areas. To be honest ..overall.. I found this book boring. In defense I will say that I did read it all and didn't give up on it.. so I am sure there are others out there that will like this book tremendously! I'm guessing this just wasn't a book for me.